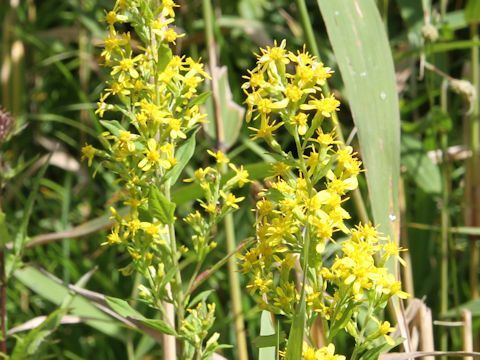 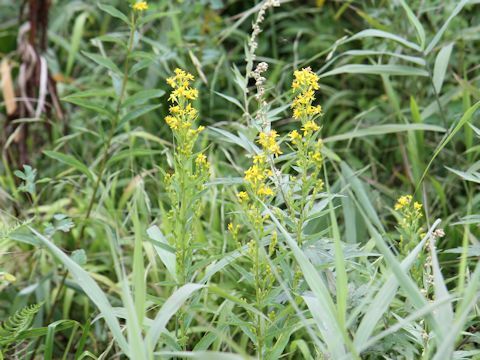 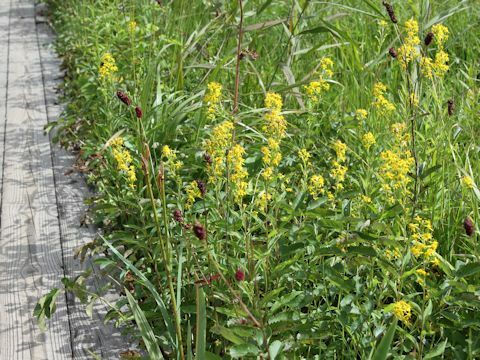 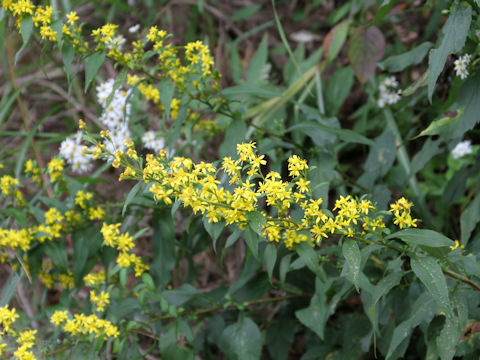 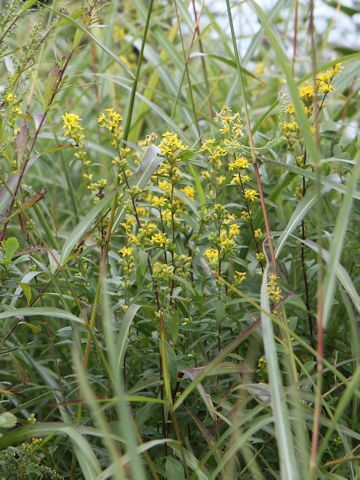 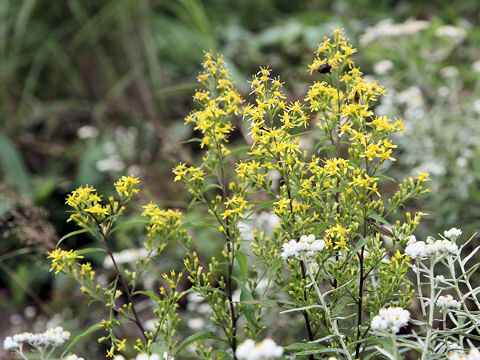 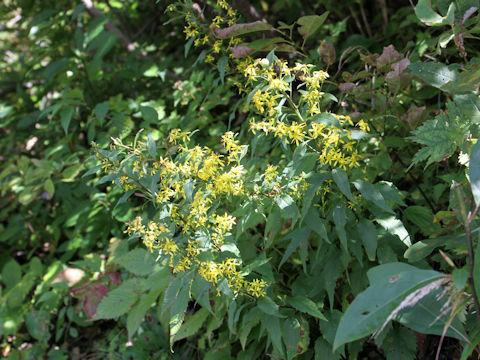 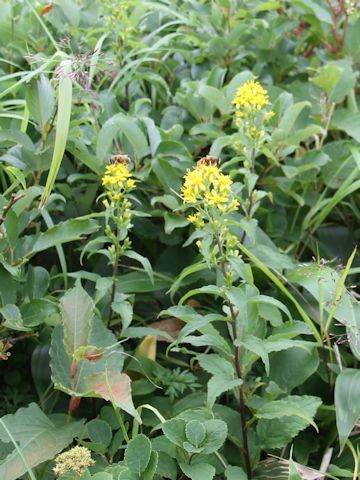 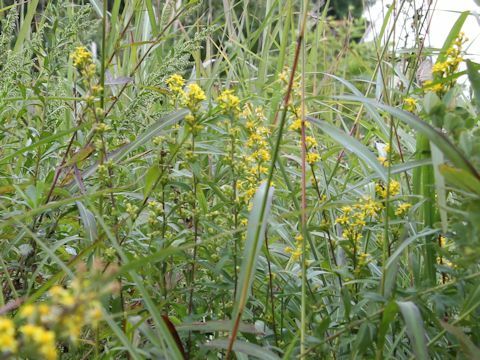 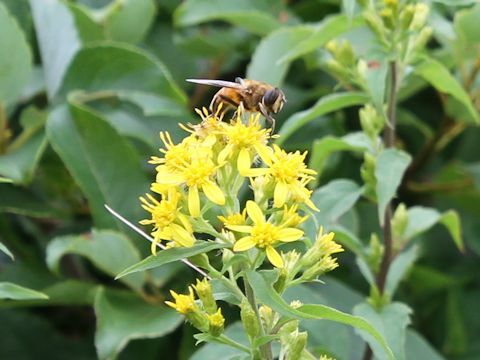 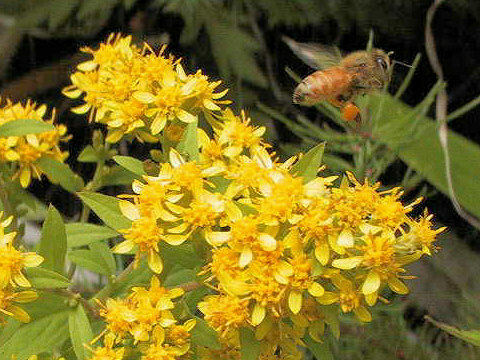 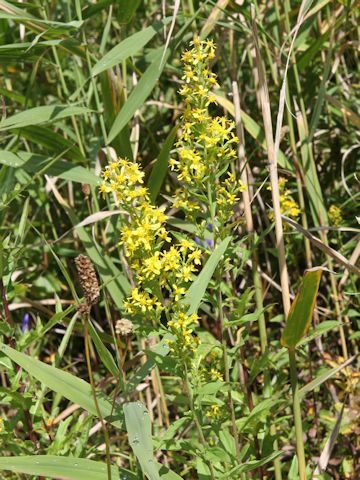 Goldenrod (Solidago virgaurea ssp. 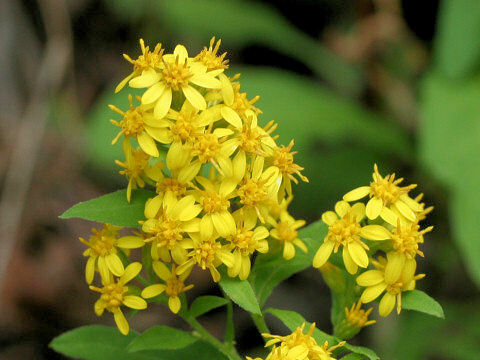 asiatica) belongs to the Asteraceae (the Aster family). 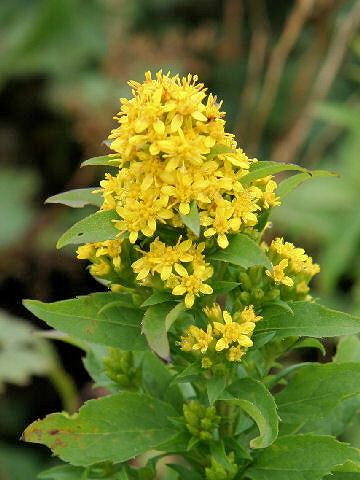 It is a perennial herb that is distributed widely, throughout Japan and the Northern Hemisphere. 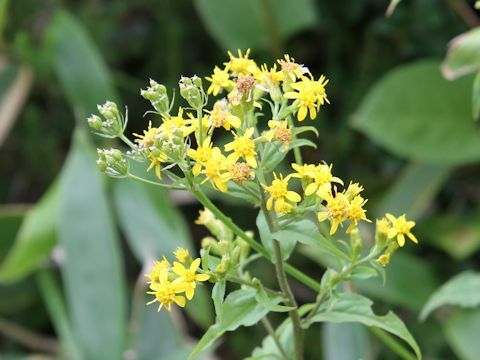 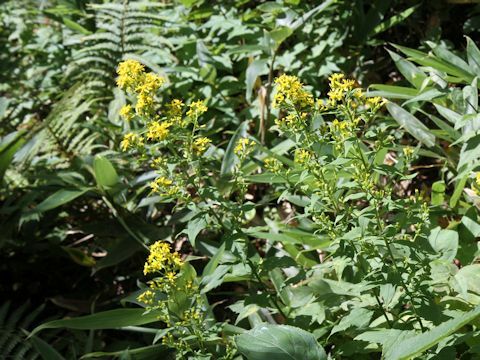 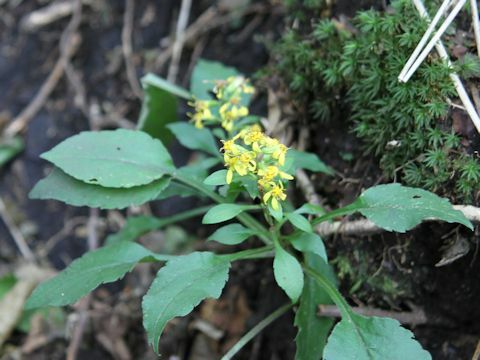 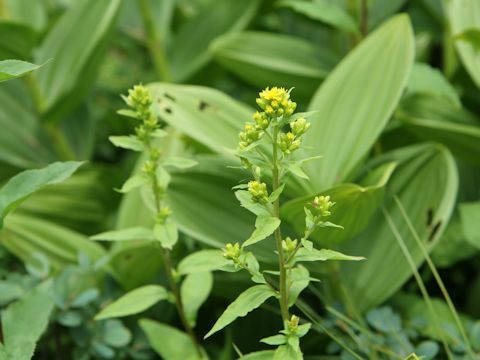 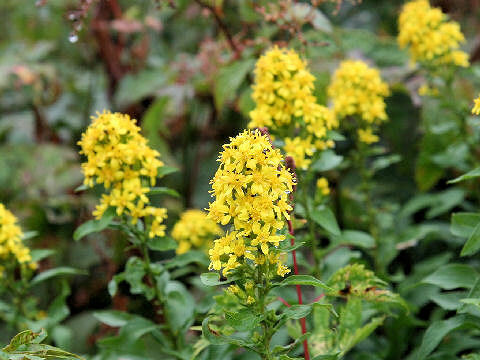 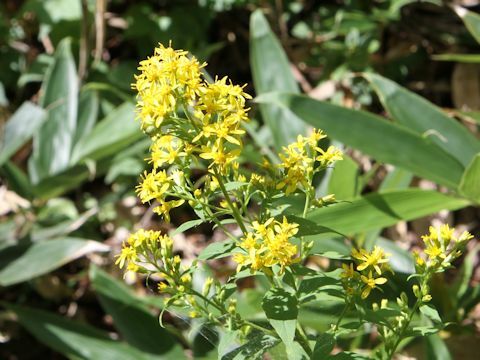 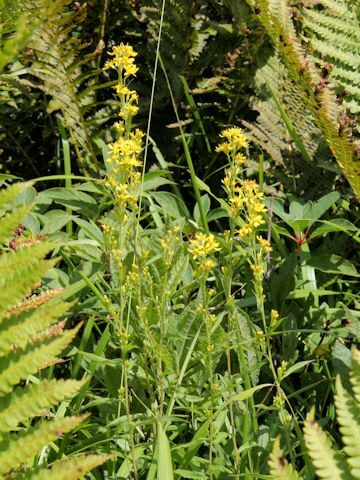 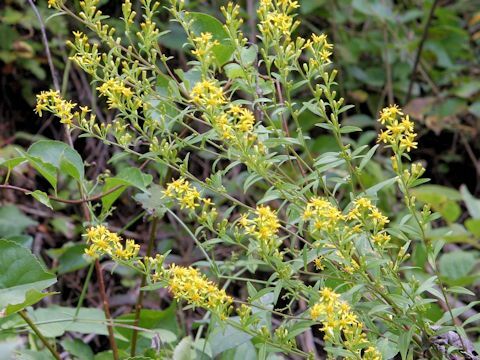 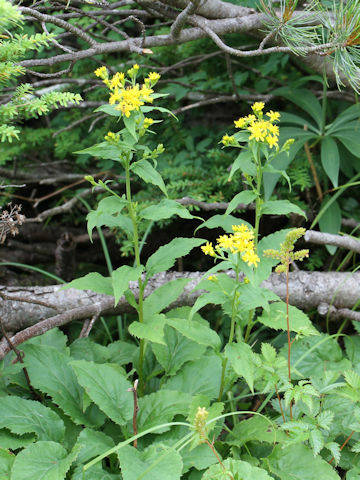 This herb grows in sunny mountains and can reach 30-80 cm in height. 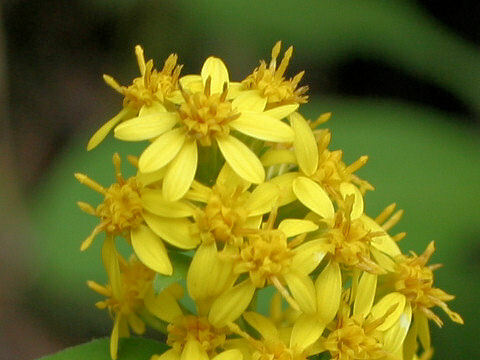 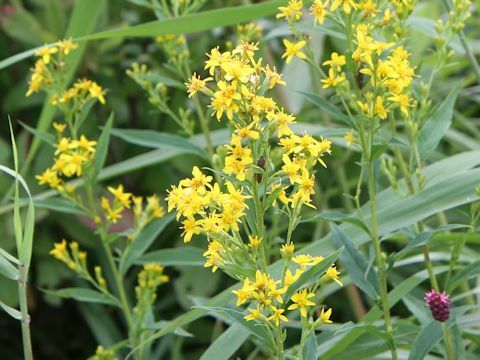 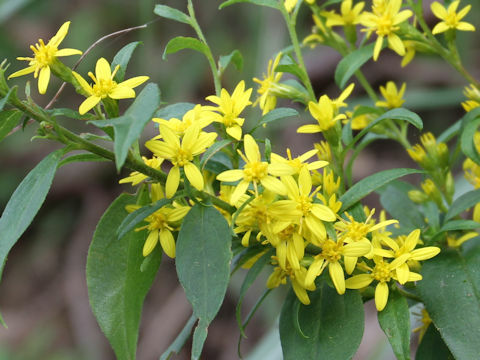 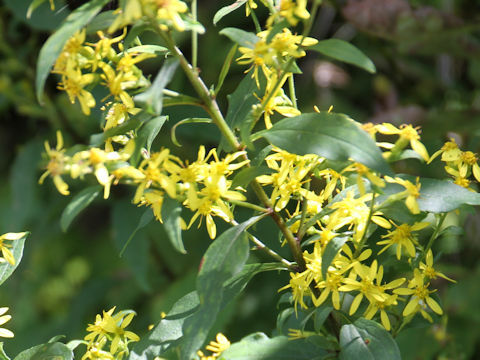 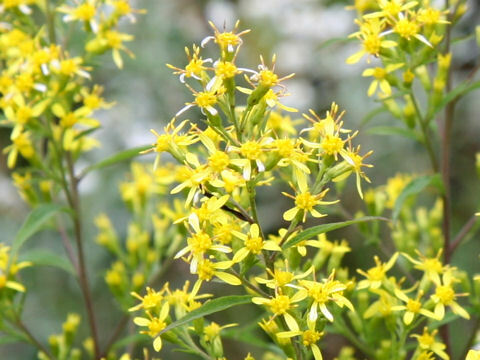 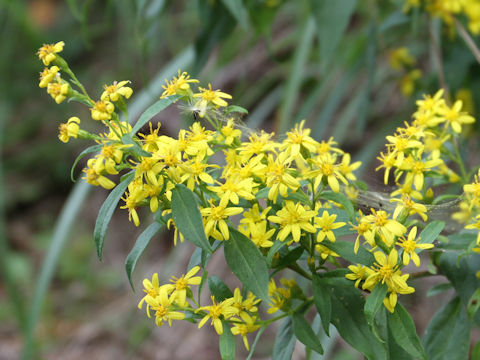 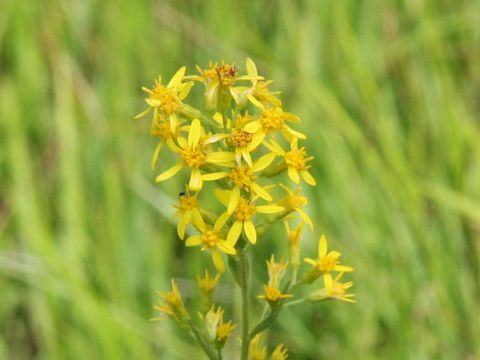 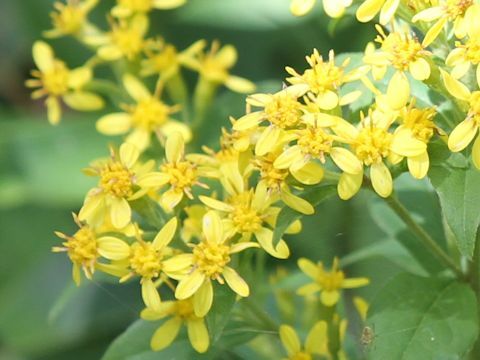 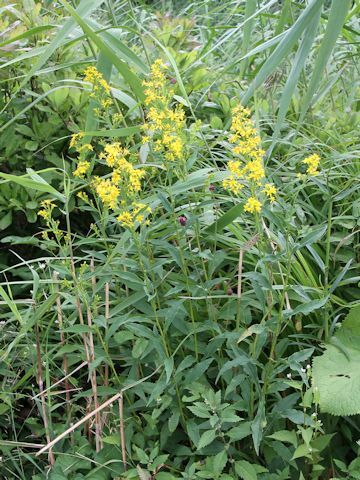 The racemes are borne on the stem apices and the many yellow flower heads bloom from August to November. 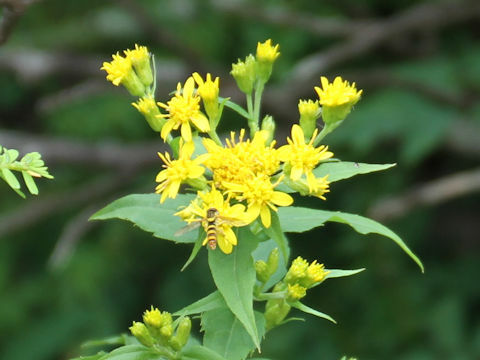 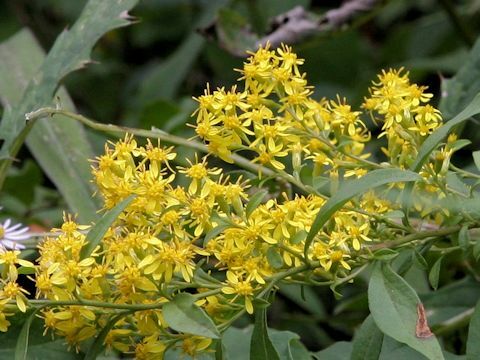 The American Indians used them as an important herbal medicine for treatment of intestinal problem, cold or injury.